Chrysoprase helps one to connect with altruistic feelings, which when acted upon, tend to attract higher vibrational experiences into daily living. Chrysoprase opens and activates the Heart Chakra, allowing for a stronger flow of Chi through this Chakra. By sending Divine energies into the Heart Chakra, Chrysoprase can infuse one with Universal Love and help to live from the Heart. 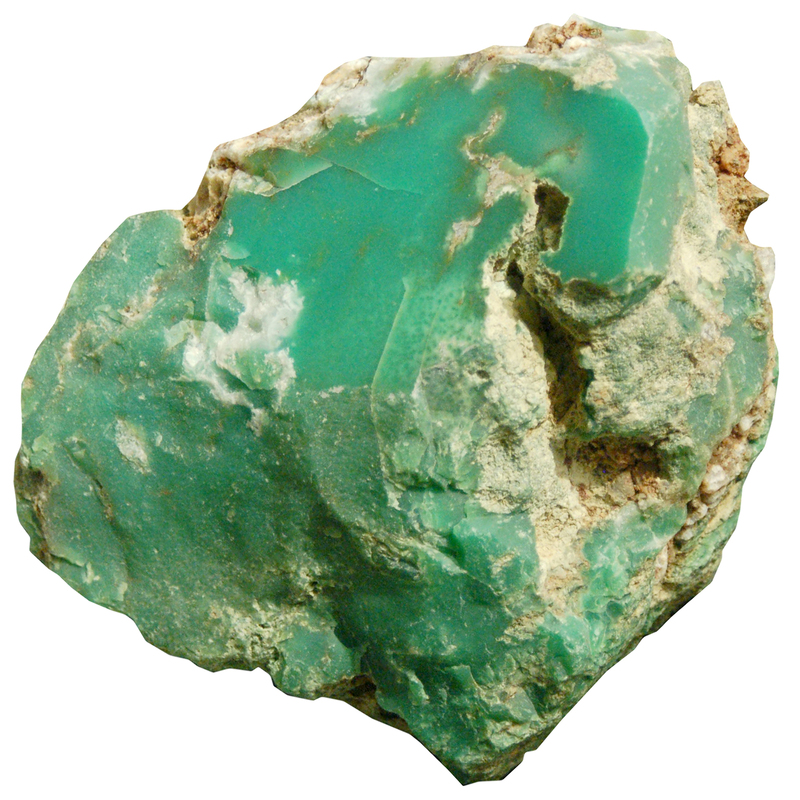 A stone of grace and compassion, Chrysoprase facilitates deep meditation and relaxation. Use Chrysoprase to encourage acceptance of oneself and of others, by banishing feelings of superiority or inferiority from within. Chrysoprase can also be used as a loving and supportive stone during experiences of deep loss. Chrysoprase is known for bringing hope into dire situations, and is excellent for breaking negative cycles. It can help to initiate great inner growth, especially when used during meditation. Carrying Chrysoprase in the pocket can be beneficial for those needing to release fear and bitterness. Physically, Green Chrysoprase can be used to treat disorders of the heart and to increase dexterity. Lemon Chrysoprase, also called Citron, can be used to assist in the assimilation of Vitamin C, treat reproductive organs and increase fertility. Click here to see Chrysoprase in our online catalog. Affirmation: I make decisions with my heart. Question: Do you use any crystals to help with hormonal balance?